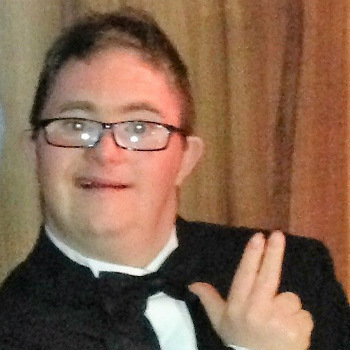 Mary Hunt set up her own firm encouraging people with learning disabilities to live healthier lifestyles after watching son Barry Ward, who has Down’s syndrome, struggle to walk on holiday when his weight ballooned. By the end of 2013 Barry Ward was finding it a challenge to walk more than 30 yards and was twice admitted to hospital with suspected heart attacks after Christmas. Though medics told Ward’s mother, Mary Hunt, that heart problems were common in people with Down’s, she refused to accept his declining health as inevitable. Instead Hunt, a nurse who runs home care company Beyea Care, convinced him to try diet classes. Hunt says the classes have transformed her son’s confidence and enabled him to shed much of the weight threatening his health. So successful has the regime been that together Hunt and Ward have set up their own community interest company. The firm, Barry’s Journey, introduces others with learning disabilities to the benefits of diet and exercise. Hunt, 58, from Ipswich, said: “Somebody did say to me that Barry, being Down’s syndrome, would never understand the rationale of healthy eating and dieting. Menus on the Barry’s Journey diet are “syn free”, meaning people can eat as much as they like of their favourite food provided it’s cooked in a healthy way. With help from support workers they are encouraged to cook using equipment like fat-reducing grills, slow cookers and air fryers, which use less oil than deep fryers. For beef this means using meat that is 5% fat or lower and prepared with a 1-cal spray cooking oil, or in a slow cooker with tinned tomatoes for seasoning. The diet also encourages people to learn to make their own sauces, like mayonnaise and ketchup, to reduce the sugar content. The odd treat is allowed, provided it’s not excessive. And alongside the diet is an individually tailored exercise programme with one-to-one support at DW Fitness. “If we go into a residential home we will help the support worker and the client to identify what foods they will snack on and then we’ll probably give them 0 to five points, because you’re allowed up to 15 points per day. It’s basically to make a diet enjoyable,” added Hunt. Health problems like heart defects and an underactive thyroid gland are more common in people with Down’s, who have a life expectancy of between 50 and 60. An underactive thyroid means the body is slower to use up energy and leaves people with Down’s more vulnerable to weight gain. Ward had a slight heart murmur and infantile hepatitis, an inflamed liver, when he was a baby. He later overcame these health problems. Before persuading Ward to tackle his weight Hunt admits her son always “loved his food”. And his appetite for junk food like burgers, chips, sausages and McDonald’s meant he was getting “bigger and bigger and bigger”. At his heaviest Ward, who is 4ft 10ins tall, was 14 stone. Before a recent trip to Center Parcs, when he came off the diet to relax, he weighed 11 stone 3lbs. Hunt insists the diet and exercise regime is not something she has forced on her son and Ward himself says he’s fully on board. He said he has been “going to the gym a lot” to “lift weights”. Asked what the food was like on the diet Ward, 31, said: “Good. I like it.” Ward said he feels “much better” since starting the diet. He lives in supported accommodation where staff members help him grow and pick fresh herbs from a greenhouse to include in the diet. Hunt says the company is now taking off — they are working in learning disabilities residential homes in Bury St Edmunds and Norwich.